The Xi5 is designed to exceed the expectations of today's discriminating customer. It's engineered to be reliable every day- and durable over the long haul. Unlike the competition the Xi5 includes wireless capability "right out of the box", anglers can command precise motor and steering control from anywhere on the boat. A wireless foot pedal is standard with freshwater models and a hand-held remote is standard with saltwater models. Plus, we've made it stealthy quiet and silky smooth. And you'll also see thoughtful details that make it safe and easy to use. Motorguide's wireless pedal provides outstanding motor control from anywhere on the boat. The intuitive, pro-style "heel-toe" operation controls steering that's extremely quiet, precise and 50% faster than the competition. Digital variable speed control enables exceptional low-speed trolling capability and longer run time. 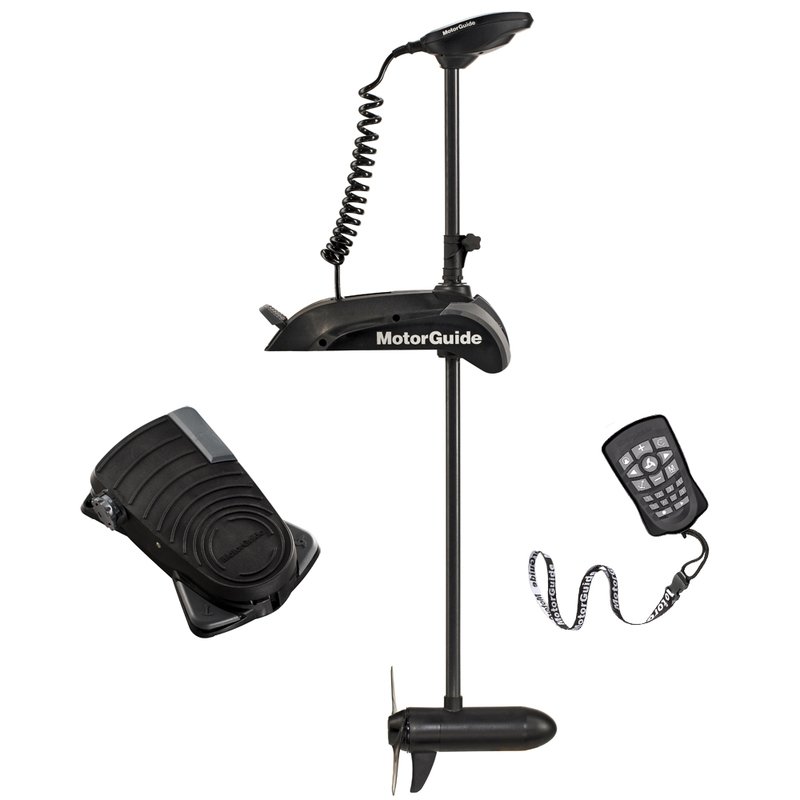 Motorguide's wireless pedal provides outstanding motor control from anywhere on the boat. Our new Digital technology features durable cooler-running power electronics that are 50% more efficient. They also capture and store energy that is typically lost as heat. This improved efficiency means longer run time and fewer battery charges. Digital speed control delivers power, smoothly and incrementally, at the precise level needed by the operator.